The co-working concept is spreading: A Chicago-based company just bought a huge building in Seattle’s Pioneer Square to turn it into co-working spaces and short-term private offices, and longtime co-working staple WeWork is preparing to open a third Seattle location. The number of co-working spaces in Seattle is growing as independent workers of all sorts seek a workplace more flexible than a long-term office lease and more formal than a computer on the kitchen table. 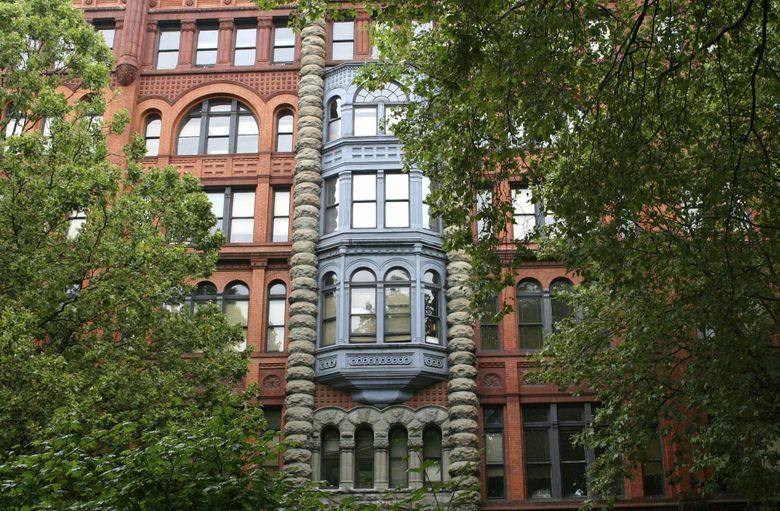 A Chicago-based company has purchased a huge building in Seattle’s Pioneer Square to turn it into co-working spaces and short-term private offices, and longtime co-working staple WeWork is preparing to open a third Seattle location. Level Office, which launched in Chicago in 2013, bought the Pioneer Building on Tuesday. Built in 1892, it’s next to the Underground Tour meeting place in the historic neighborhood. Level plans to renovate the historic landmark’s interior to add an events space, kitchens and high-speed Internet. The purchase price has not yet been filed on King County’s website. Pioneer Building last sold to Sun Capital Corp. for $12.3 million in 2014. The Puget Sound Business Journal first reportedLevel’s purchase. A recent report from the U.S. Government Accountability Office said more than 40 percent of the nation’s workers do not have a traditional office, be they freelancers, contractors or other remote workers. Level is the newest arrival into Seattle’s booming co-working market. The city has more than 20 co-working spaces, plus many more in the tech-heavy Eastside, serving technology startups to law firms to artists. A more posh version of a co-working space, Coterie Worklounge, premiered this fall. WeWork is one of the most established Seattle co-working spaces, with 900 people renting space in its South Lake Union office and about 450 members in its first downtown office on First and Spring, which opened in September. 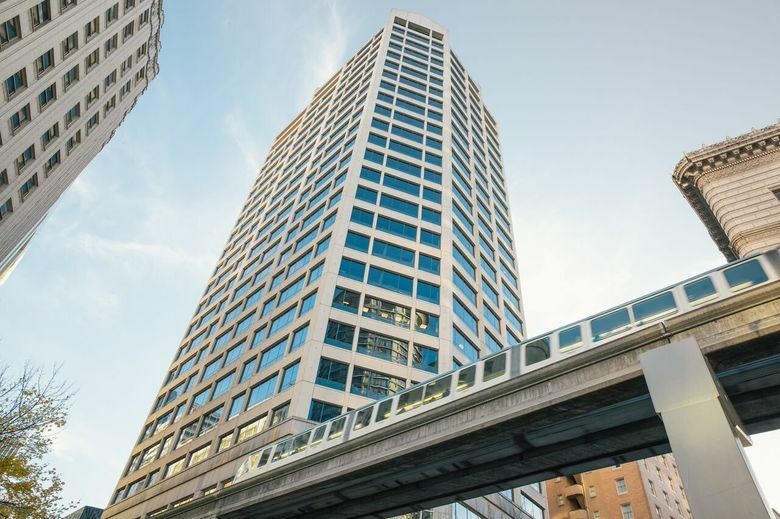 The New York-based company plans to open its third Seattle office in February in Westlake Tower, with room for about 600 people on two floors. The space is about 20 percent rented now, said Seattle office lead Gina Phillips. Phillips said Seattleites seem to gravitate toward the shared spaces for different reasons than in some parts of the country. New Yorkers, for example, are moving into spaces largely because of the high cost of real estate, but in Seattle that doesn’t seem to be the case. “It’s more of a cultural presence to be in a community, have events and happy hours and flexible leases,” Phillips said. Level will operate like many of the city’s co-working spaces — people will be able to rent single desks or up to eight-person offices. The 72,000-square-foot space, Level’s eighth nationally, will open in spring. The company focuses on businesses that are slightly more mature than the average startup — usually small businesses that have been working for a couple years. Level founder Bill Bennett said he expects the co-working craze to continue to grow as more people become frustrated with traditional office environments. “I think the demand has always been there, but I don’t think there have been enough options for people,” he said. Level joins fellow co-working spaces Galvanize and Impact Hub in the Pioneer Square neighborhood.